Open the door to relaxation. With a single tap of a keycard, guests of the UCLA Luskin Conference Center enter a world of comfort and luxury in these premier Westwood accommodations. 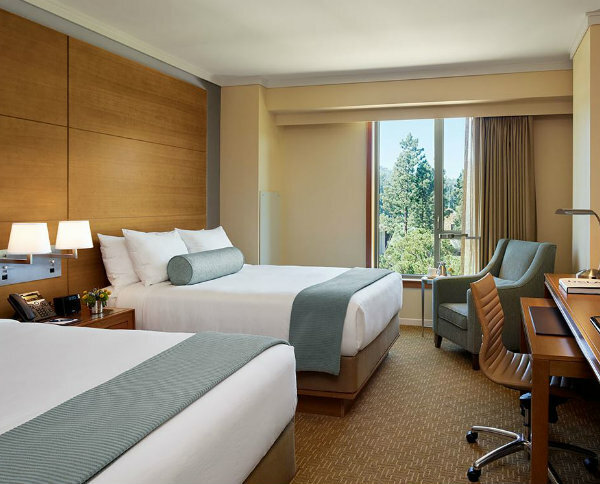 The 254 beautifully-appointed guest rooms are precisely what one would expect from a fine hotel, with extremely convenient access to this Los Angeles conference center’s exquisite meeting rooms. With such an integrated approach, there’s no need to worry about commuting between separate Los Angeles hotel accommodations and meeting spaces after a busy day as you might at other standard Southern California hotels and conference centers. Awash in natural light and augmented with thoughtful amenities — including plush bathrobes, premium earth-friendly toiletries and docking stations that let guests play their favorite music and podcasts — these hotel rooms on the UCLA campus are an ideal place to refresh and recharge for the big day ahead at this spectacular Los Angeles meeting venue. Guests may choose rooms with either a king bed or two queens, and beds are crisply made in super luxe linens atop luxurious mattress toppers, crowned with cozy pillows.  Rooms with ADA accessibility are available; call anytime for more information. 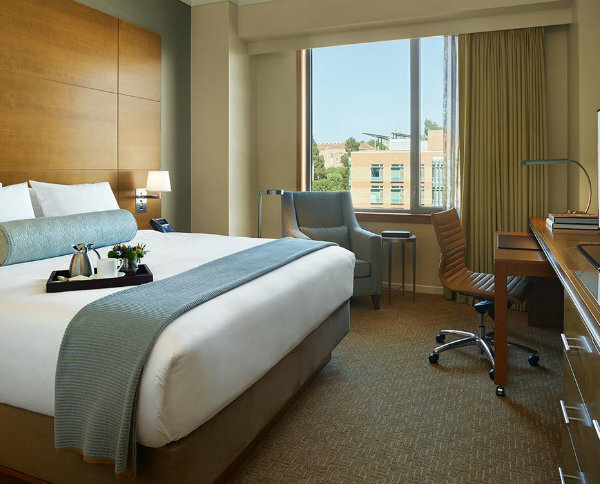 The 307-square-foot king rooms at this UCLA on-campus hotel are furnished with a king bed, armchair, desk with ergonomic chair, and flat screen HDTV. The bathroom has a full-size walk-in shower and marble vanity. Located on the 3rd through 7th Floors, the single king rooms sleep up to two guests.